The use of a custom arch support is a non-invasive way to reduce or eliminate pain in areas such as feet, ankles, knees, hips and lower back by improving structural alignment and/or restricting or enhancing motion. However, they do not take the place of any strengthening or stretching exercises recommended by your healthcare practitioner. 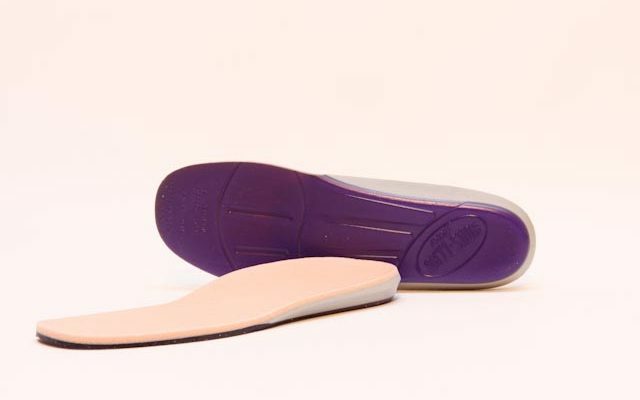 Orthotics can be used to treat a variety of injuries and often work best in conjunction with other therapies such as physiotherapy, stretching, icing, and massage. A custom foot orthotic is a custom-made three-dimensional insert that is placed in your shoe. They can be used to relieve pain, improve skeletal alignment or improve the function of your foot and lower limb. Orthotics work to support and re-position your feet. Like eyeglasses, they help us while we are wearing them. Orthotics generally will not permanently change your anatomy and will function only when you are standing or walking on them. Orthotics allow us to maintain our lifestyle and activities, while reducing the symptoms. Orthotics are commonly used to relieve symptoms of common injuries, such as plantar fasciitis, metatarsalgia, neuromas, and various foot and ankle tendon injuries, as well as helping individuals with diabetes or arthritis. Depending on the design, orthotics can cushion and support your foot by redistributing the pressure areas on your feet. Improper foot function and weight distribution of the lower extremities is often the cause of many foot, lower leg, pelvic, back and neck overuse or stress injuries. By improving the alignment the body is able to function more efficiently with less stress on the muscles and ligaments that hold you together. 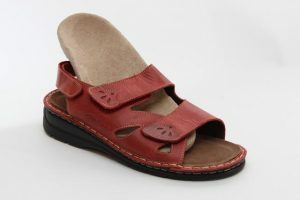 They can also be designed to support and improve the alignment of the bones in your feet and legs. 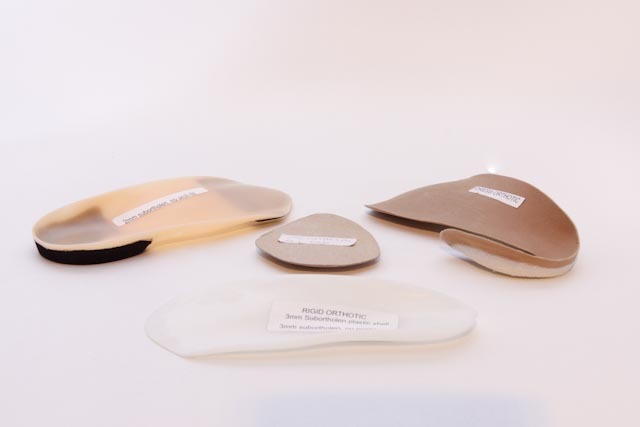 Many different styles and types of orthotics can be designed in order to alleviate various types of pain in the feet, knees, hips and lower back. These can range from soft flexible types to very rigid types. Some orthotics are made to control abnormal foot function, re-establish proper weight distribution and overall biomechanics by not allowing the foot to fall out of subtalar neutral position during gait. This is achieved by first obtaining a neutral position plaster cast mold. CONSUMERS BEWARE!! Orthotics are often over prescribed or made by non-certified, non-medical providers. Contrary to popular belief, not everybody needs a custom product. A Certified Pedorthist is educated in the anatomy, structure and biomechanics of the lower limbs as well as orthotic prescription and is therefore able to assess properly a client’s individual needs. It is important to have your foot and shoes properly evaluated prior to getting orthotics. Beware of companies that provide only one type of orthotic. It may not be right for you. Orthotics are often prescribed as a method of treatment for an injury. Orthotics will help you to recover from the injury. Once the injury has healed, orthotic use may need to be continued, in order to prevent the injury from recurring. Julie’s clinical assessments take approximately 45 minutes. If she determines orthotics can help she creates a three-dimensional cast of the patient’s feet. From this cast, Julie creates orthotics from her Sarnia Lab. Once finished she meets with the patient again for a follow up appointment and fitting. Julie will also lend her expertise on over the counter (O-T-C) orthotics for those who do not require custom orthotics or do not have insurance coverage to cover the cost of custom-made. Julie will offer consultation regarding O-T-C Orthotics and their modifications. After a thorough physical, biomechanical and gait assessment, a casting technique must be used to capture the foot. The method of casting is critical to the success of the orthotics. There are various ways to accomplish this. There are many different casting techniques used to obtain a 3-D image of a foot. Each casting method has advantages and disadvantages and your pedorthist will determine the best method for you. Once the total-contact orthotic has been fabricated, a detailed fitting takes place to assure that it meets all prescription requirements. This fitting is also important to make sure that the orthoses is comfortable. At this time, a follow-up visit is scheduled and any necessary adjustments are performed. Our Certified Pedorthist uses years of experience and pedorthic knowledge to provide the best fitting, most accommodative device possible. At Sole Decisions we fabricate custom-casted orthotics by 3 methods: plaster slipper, Fiber Glass slipper and impression foam box. Fiber Glass slipper casting is similar to plaster except that it is less messy and time consuming as it is in a sock not fabric roll format and leaves no residue on the client’s foot since a bag is placed over the foot first. Foam box impressions involve pushing the foot into a foam box either from a standing or seated position. This can be a semi-weight bearing or full-weight bearing technique often used if someone cannot get on a table for plaster casting or if a less aggressive (more accommodative) shell shape is desired such as for severe arthritics or diabetics (sores on foot). This technique is used for clients with no forefoot to rearfoot misalignment. What about computer-generated or “Dynamic Orthotics”? “Bells and Whistles” Although to the general public these high-tech systems may look impressive, all they are really doing is playing on their perception of what a computer can do these days. Some methods do not give a 3-dimensional image of the foot in a non-weight bearing subtalar neutral position in which to manufacture a corrective device. If the information is based on a two dimensional image of a foot that has already failed biomechanically there is no mathematical equation in existence that will take this data and transform it into a three dimensional image of the foot in a non-weight bearing subtalar neutral position. It is this neutral position that is the essence of a truly corrective custom foot orthoses. 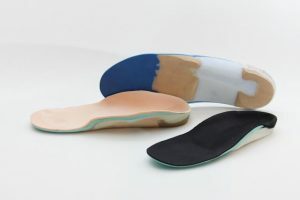 Therefore some computer-generated orthotics are not always custom moulded. There are some systems that are contact digitizing such as the Amfit, CAD-CAM system which is used full-weight or semi-weight bearing a 3-D presentation of the foot is captured from elevated sensors against the foot in a static situation. This can work well since modifications to the mould can be made and evaluated for success prior to manufacturing. There are some limitations to material types that can be used though since the mill is limited by what it can grind down and it is not a complete total-contact due to spaces between sensors. The use of laser scanning with multiple lasers, a newer invention to create an electronic 3-dimensional image, is evolving and will likely be capable of equaling the flexibility of slipper casting in the coming years. This system eliminates messy plaster and removes the need to modify models by hand prior to orthoses fabrication. 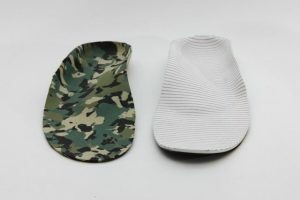 Some computer generated orthotics use an injection moulding method to mass-produce a variety of prefabricated shells such as orthotics made for you from inkblots at Home Shows. These prefabricated products may then be slightly modified or “customized” to mimic the look of a custom moulded orthotics. These orthotics may well help alleviate mild symptoms and feel generally comfortable. But you should be cautioned on the expense of these devices as they are not a truly custom device and may have the same therapeutic affect as a much less expensive off-the-shelf arch support. These types of arch supports are generally made of a fairly flexible rubber-like material and claim to be custom to your feet. They are however, massed produced products providing little more support or benefit than a non-custom insole. All the modifications and adjustments will never make them a truly custom moulded orthotic. Some insurance companies will not cover these types of devices – check your policy. Dynamic orthotics are usually produced from the information produced when you walk across a pressure sensitive pad such as when using the Footmaxx system. This means that the images are taken in a weight bearing position and therefore captures an image of your foot when it is already compromised in function – already pronated or supinated – the position that may be contributing to your symptoms. Ultimately this is a 2-dimensional image derived from where you foot makes contact with the mat. The computer uses algorithms to best estimate the actual shape of your foot. It does not in fact know whether the arch of your foot is 1mm or 10mm off the ground. Though sometimes the orthotic made from this system is sufficient enough. 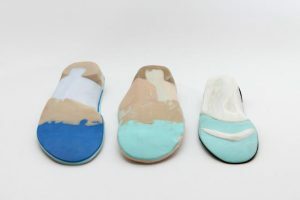 While several methods exist for making orthotics, including some that are computer generated, the majority of foot care professionals consider the plaster slipper cast taken with the foot in a non weight bearing position, to be the gold standard. However a poorly taken slipper cast is not superior to a well-taken cast of other means. Any casting method can be satisfactory in skilled hands however, and alternative casting techniques are often superior in specific conditions. The non-weight bearing foot does not capture its structural defects: for example if the arch flattens excessively (hyperpronation, pes planus) then this occurs when the weight is on the foot. This is why most of us believe that our arches are fine – we look at them when there is very little weight on them, for example when we are sitting. Precise positioning of the foot: the pedorthist can hold the joints including the ankle, subtalar (below the ankle), midtarsal (bones in the middle portion) and the forefoot. Positioning the forefoot up or down can increase or decrease the height of the arch and the overall correction of the foot. Most other casting methods cannot provide this degree of flexibility of “intrinsic ” cast correction. 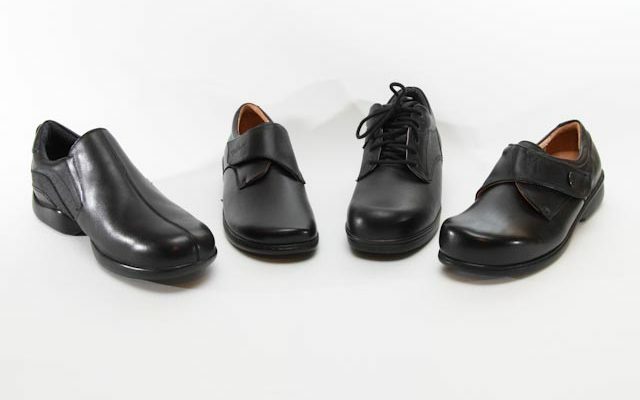 Over-the-counter or off-the-shelf orthoses are suitable when the foot problems don’t warrant custom-made de..
Shoe Style – Your pedorthist has carefully designed your orthotics for your most important footwear so it m.. These can be a simple as lacing techniques to the more complicated shoe lifts. These are needed when the present ..